This workshop is part of Fiber Fest, a month-long series of fiber offerings at Lynden. For more information, click here. 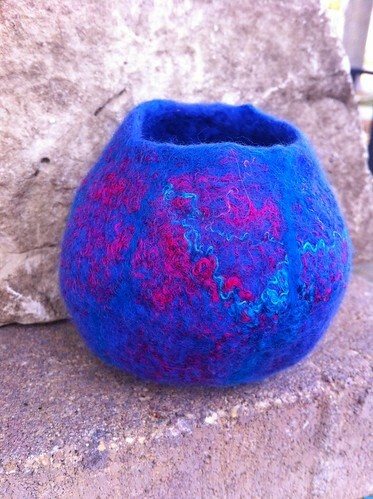 Wet felting is an ancient and magical hands-on fiber art process. It is also an excellent medium for exploring texture, color, and design. In this workshop, we will use our hands and our imaginations--and a little water and soap--to transform colorful, fluffy wool and silk fibers into uniquely designed felt vessels. No experience required. Jane Moore is a lifelong fiber artist. She has been an avid felt artist for twelve years and has studied with internationally renowned felt artists. Her work has been featured in many galleries in the Milwaukee area.